Here's a close up of the color. It really looks great in my room considering I only use this room to get ready, and for an office so its my little inspirational office. Everything's PINK as you couldn't tell that is my favorite color lol. 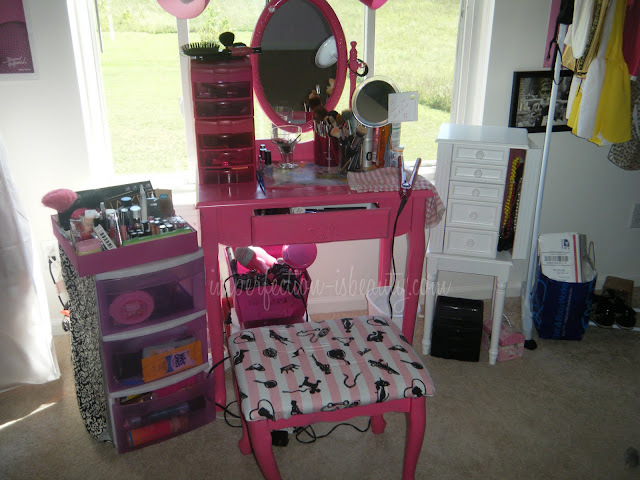 you and i sure love our pink :) good job with your vanity stool ! we have the same jewelry box as well ! So stylish, I love it! I love it! 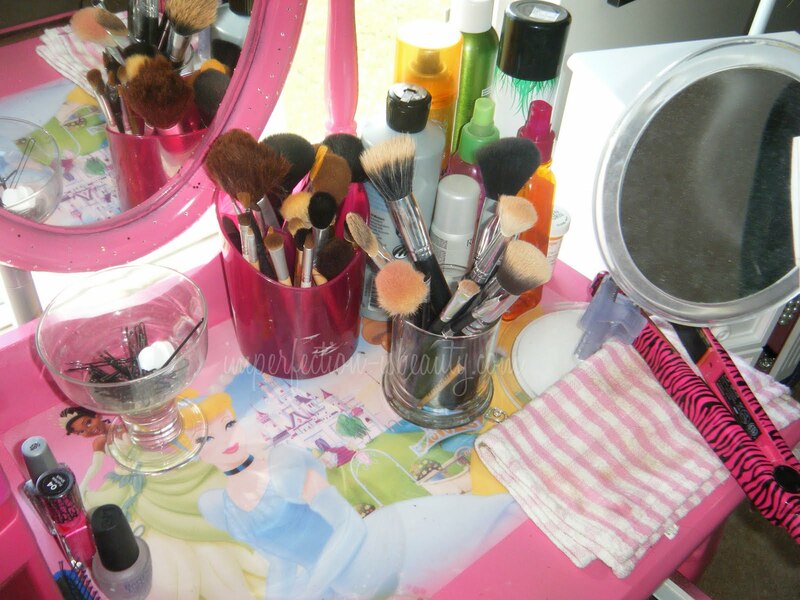 Its so fab JENN!